Sydney, Australia is the most populated city in Australia and Oceania. Located on Australia’s east coast, it surrounds the world’s largest natural harbor and spans west towards the Blue Mountains. Sydney hosts over 2 million visitors a year, almost half of all international visits to Australia, and is ranked among the top 15 cities in the world for tourism every year since 2000. 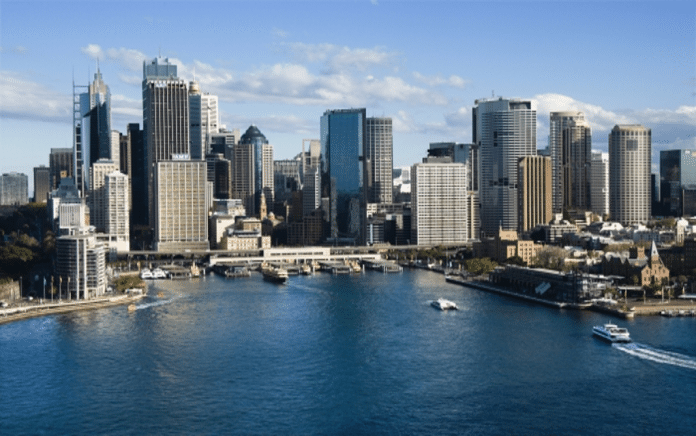 Offering a multitude of cultural and natural sites, Sydney is considered one of the must-visit locations in Australia. With so much on offer, it can be difficult to narrow down what to see during your visit. To help you out, we’ve got 5 of the top destinations in Sydney, Australia. The incredibly popular Bondi Beach is located just 7 kilometres from Sydney’s central business district and is one of the most visited tourist sites in Australia. Throughout the year, there are a multitude of events that occur here, including public art shows, marathons and surf competitions. The main street along the beach is called Campbell Parade and is a popular meeting place for Sydney’s cafe society. Here you will find trendy clothing boutiques, surf shops, outdoor cafes and bars. Every Sunday you can attend the Bondi Beach Markets where you can pick up lovely items, such as handmade jewellery, vintage clothing and crafts.